The Deed of Gift is, perhaps, a less familiar legal instrument that works nicely with will, estate and probate planning to minimize your exposure to unnecessary probate fees. (Please note that what was formerly called probate is now referred to as Certificate of Appointment) It embodies the wisdom of the old saying, “It is better to give than receive,” possibly going it one better, because in the case of a Deed of Gift, it is wonderful to give and to receive. The Deed of Gift isn’t the only way to reduce probate exposure. An earlier blog, Double or Dual Wills – How to Reduce Probate Fees, (June 2015) explained the idea of double or dual wills. To briefly review, the first will lists the assets which must be assessed by probate court; the second will, however, is generally used for corporate assets such as stocks in private companies, which are then exempt from probate fees. 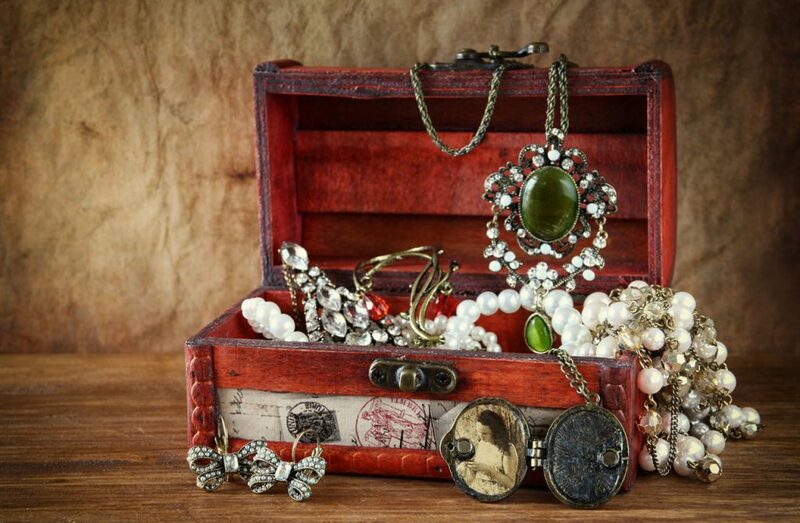 Although items which can be specifically valued such as art and jewelry have sometimes been added to the second will, the government seems to take hard line in their regard, and so it’s likely advisable not to do so. The second will increases the complexity of the process, and therefore your costs. Unless you have accumulated some wealth, therefore, it might not be worth your time and expense. By contrast, a Deed of Gift is affordable, can apply to most any possession – art work and jewellery included, is available to anyone, helps to simplify your will and estate planning, and best of all, should be regarded as an act of love and generosity. Essentially, a Deed of Gift states that you are deeding, or giving, a specified item to a specific person upon your death. You might wish to leave jewelry to one of your children, china to another child, a valuable camera to a friend, and so on. The beauty of the Deed of Gift is that you retain possession and use of the item while you are alive, but it is clearly set aside for your chosen recipient when the time comes. And since it was given (again, not physically, but in the sense of a binding promise) to the intended beneficiary during your lifetime, it is therefore exempt from probate, and the government’s fees are reduced accordingly. Naturally, it cannot be used for everything you own; the CRA’s generosity only extends to a point, so some caution and common sense, perhaps some legal advice, must apply when you plan your Deed of Gift(s). There are actually two types of Gift Deeds: revocable and irrevocable. A revocable Deed of Gift means that you can revoke or cancel the gift any time prior to its actually being given, even though you have given the deed to the intended recipient. It might not make for harmonious relationships, but the donor has the legal right to do so. As well, if it is revocable then it may not fall outside the will and would be caught by probate; each item is decided on a case by case basis. Accordingly, if you have determined that you fully intend to give a specific item to a given recipient, and that you definitely want the gift excluded from your will, then choose to make it an irrevocable Gift of Deed. With an irrevocable (non-reversible) Deed of Gift, you help to prevent anyone from contesting the will, which should give you some peace of mind in that you are also promoting family harmony. By deeding specific gifts in advance, you pre-empt negative surprise and jealousy when your will is read. With the irrevocable Deed of Gift, the item is no longer considered to be part of your estate. Combining this with your will allows you to keep the item during your lifetime while earmarking it for the intended recipient when the will eventually comes into force. Your intended recipients need only to produce the Deed of Gift that you gave to them, a much more transparent process. And finally, back to the idea of giving and receiving, both you and your intended recipients can enjoy knowing that you are thoughtfully leaving a valued possession for them, strengthening the ties that bind you together. The Deed of Gift allows you give and create happiness while you are alive to see it, yet the promised gift is yours to enjoy during your lifetime. For additional information about the proper use of the Deed of Gift as well as wills, estate planning and probate issues, please call our office for a complimentary consultation. We are conveniently located in the Toronto area and can be reached at Howard Nightingale Professional Corporation, 416 633 4423 (toll free 1 -877-224-8225), or begin with a visit to our website, www.howardnightingale.com.